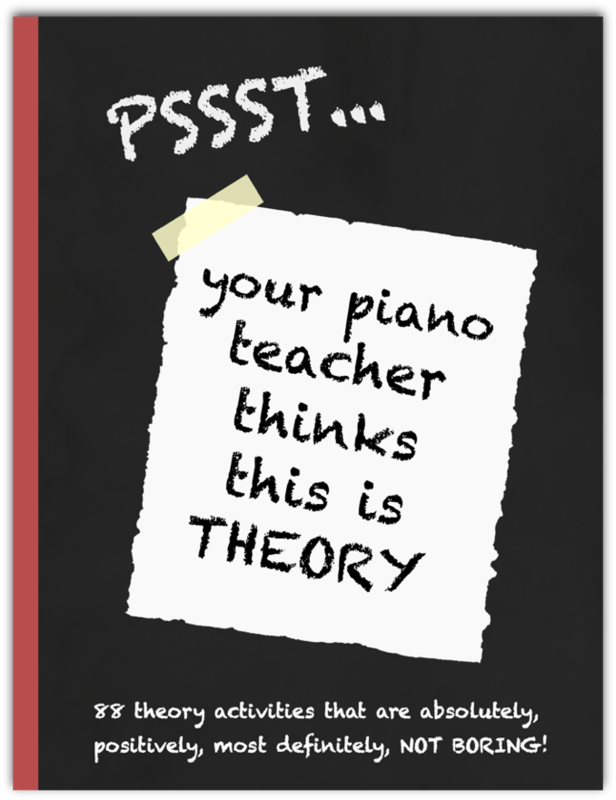 Pssst…Your Piano Teacher Thinks This is Theory gives you the freedom to blow the dust off those old theory workbooks and kiss them goodbye! Using a hands-on and in-context approach, this book works in partnership with your students’ method book, giving you the tools to reinforce theory concepts as they arise naturally, and making the connections between theory and music that much stronger. Not only will you find your piano students begging (yes begging!) to do theory, but this book also works with a child’s natural inclination for fun-based, active learning. When you purchase Pssst…Your Piano Teacher Thinks This is Theory you receive a license to print unlimited copies as long as it is for use in your personal studio. Pssst… Your Piano Teacher Thinks This Is Theory is a product of Teach Music Today Learning Solutions, the Creators of WunderKeys.